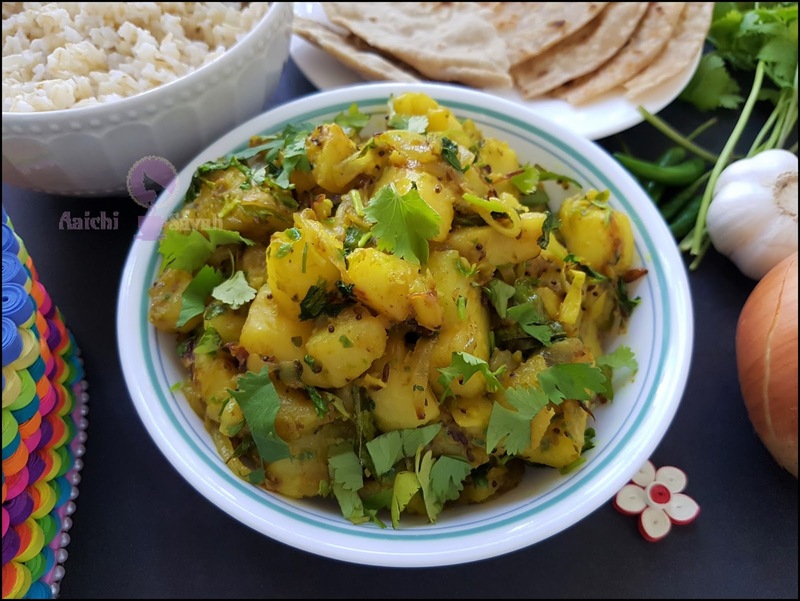 Potato Stir Fry or पिवळ्या बटाट्याची भाजी is an all-purpose curry recipe; you can serve this potato stir fry with chapati, dosa, use as a stuffing for potato parathas, Puri, sandwich, rice or you can use it to make vada pav. This would go well with a roasted chicken or even scrambled eggs. 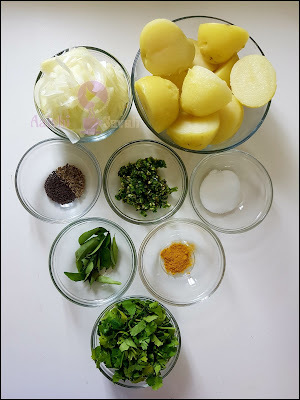 This is prepared in different variety; today I am sharing the easiest, quickest and tastiest potato stir fry recipe. Combination of potatoes, onions, green chilies, turmeric, and garlic is nutritious as well as delicious. Also potatoes are good for dieters. As a food with complex carbohydrates, potatoes make you feel fuller for a longer time. Preparation Time : 15 Minutes ; Cooking Time : 15 Minutes. 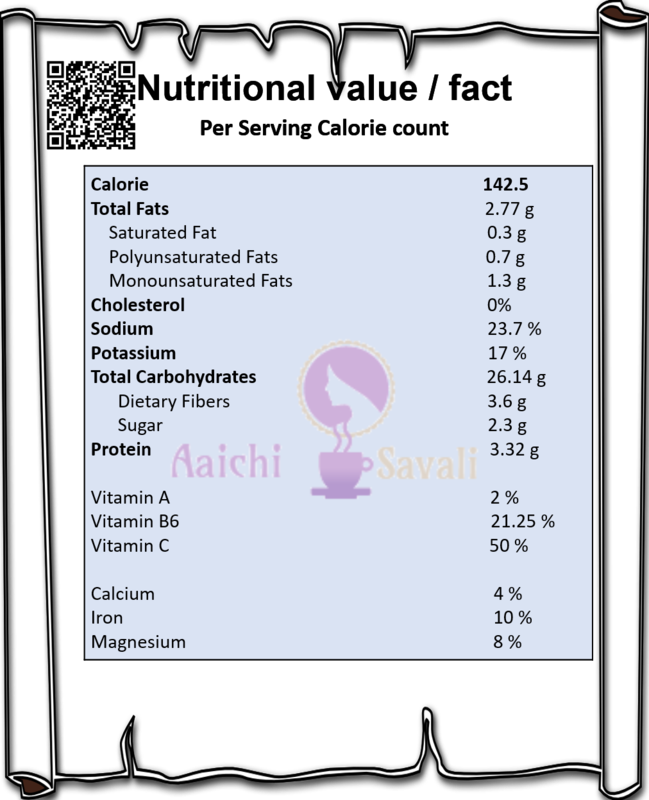 Each Serving of Potato Stir Fry Contains 142 Cal. Boil the potatoes either in cooker or a vessel. Once the potatoes are cooked, peel off the skin. Meanwhile, turn on a flame, place a pan on medium heat, add 2 tsp veg.oil, then add mustard and cumin seeds, curry leaves and let it splutter. Add chopped onion, stir it well and add green chilies, garlic-ginger paste, and asafoetida. Now, add chopped, boiled and chopped potatoes, saute all well for 2 to 3 minutes. 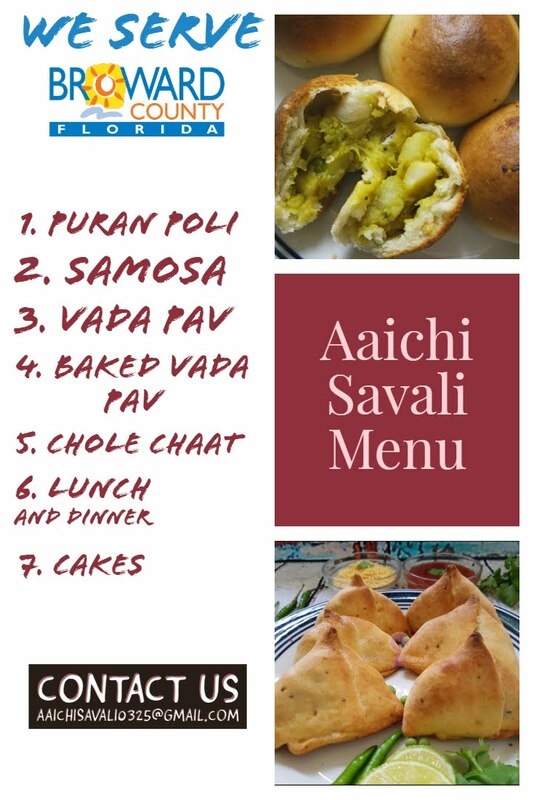 Tadaa, easy, peasy, all-purpose potato fry is ready to serve, Garnish with coriander leaves and serve with poori, dosa, chapati or make vadas from it. Enjoy!!! Per serving contains 142.5 calories, along with carbohydrates - 26.14 g, dietary fibers - 3.6 g, fats - 2.77 g, proteins - 3.32 g. As it is good source of vitamins and minerals, it contains Vit.A - 2 %, Vit.B6 - 21.25 %, Vit.C- 50 %, Calcium - 4 %, Iron - 10 %, Magnesium - 8 %. Combination of potatoes, onions, green chilies, turmeric, and garlic is nutritious as well as delicious. Potatoes not only are incredibly nutritious, but they also have some disease-fighting properties. Potatoes are packed with vitamins, and they can help protect you from some illnesses and diseases. Potatoes are an excellent source of dietary fiber, which helps protect against heart, also helps to lower blood pressure. Potatoes are good for dieters. As a food with complex carbohydrates, potatoes make you feel fuller for a longer time. Low calorie: Potatoes also are a low-calorie food. One potato contains only 26 calories. Onions help to treat poor appetite and to prevent hardening of the arteries; it also has anti-clotting properties, another heart-healthy benefit. Garlic is a good source of vitamins A, B and C, as well as minerals such as selenium, iron, and calcium. It's good to eat potato stir fry for breakfast, lunch and evening snack.